Hi friends! It’s been a while but I’m hoping to make a comeback. 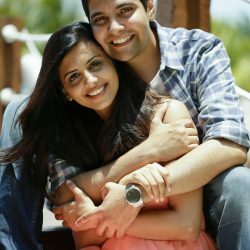 Back with more recipes and more food love stories to share with all of you. 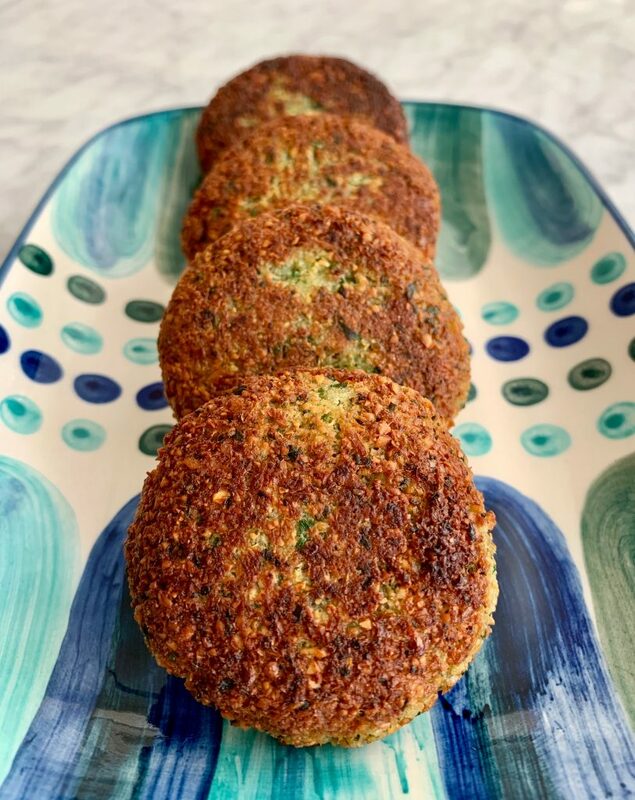 Amongst all my kitchen experiments, Falafel is one recipe that I have been trying to perfect for the last couple of years. Over my lifetime I have eaten my share of dry, chewy, brittle falafels. And every time I find a good, moist one- I’m trying to figure what makes it so much better than the plethora of dry falafels! 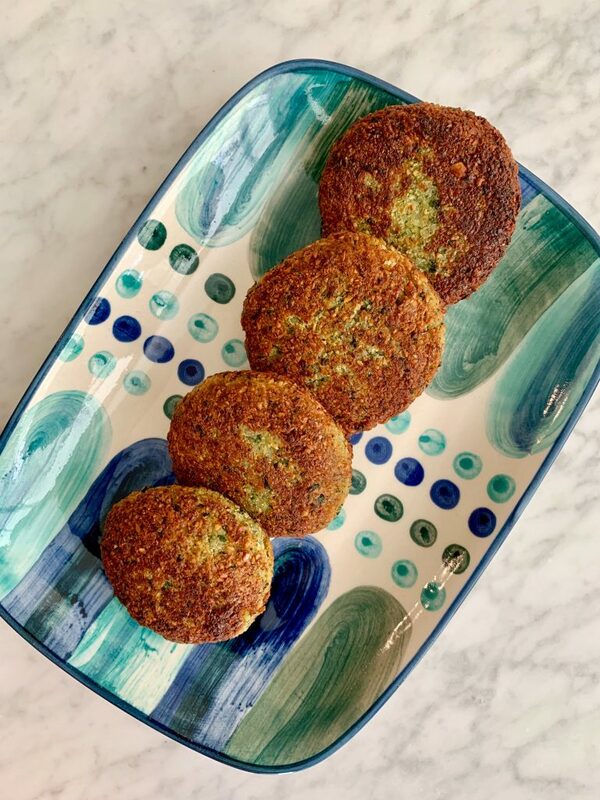 So after a ton of falafel sampling by Roshan over the years, I think have finally found the perfect recipe- its juicy, moist and flavorful. 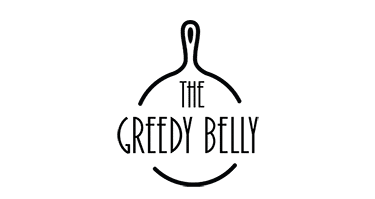 Pack in a pita pocket with some coleslaw, tahini and Hummus, have it as it is as an appetizer with some Tzatziki, or make yourself a falafel bowl with some salad, veggies and Tahini or Tzatziki– I think you’re really going to enjoy this one! A Mediterranean delight full of flavor and protein! 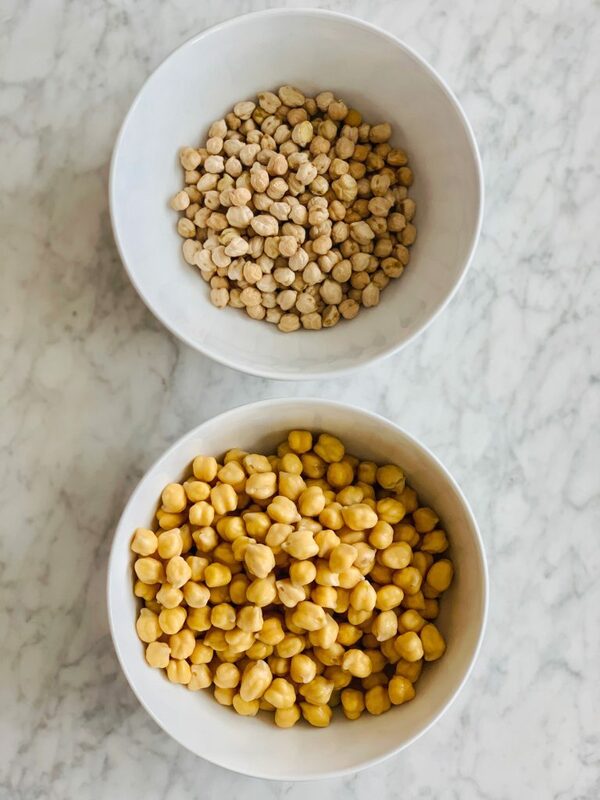 Soak the chickpeas in water and leave it overnight or for at least 8 hours. 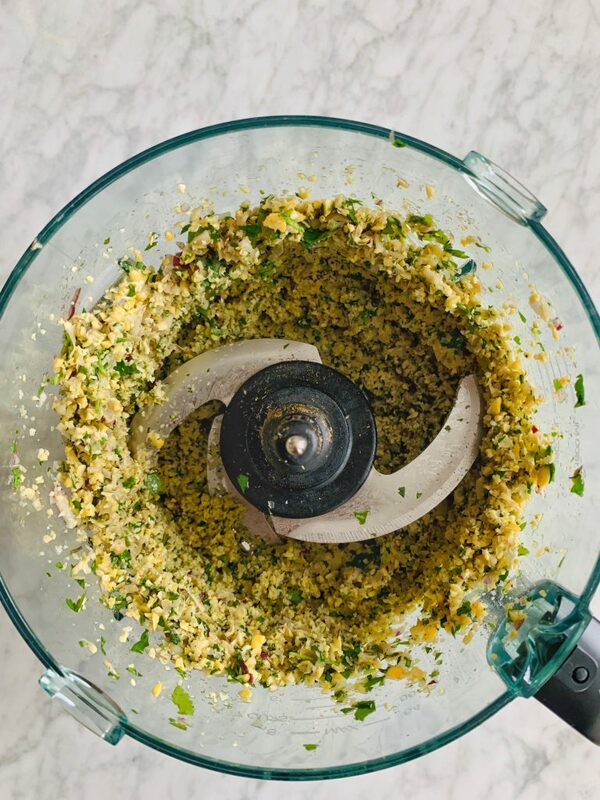 In a food processor add the drained chickpeas, onion, garlic, green chili, parsley, cilantro, cumin powder and salt. Process until blended but should form a puree. Add the baking powder and flour and give it a few pulses until its well mixed in. Transfer this mixture to a airtight container and store in refrigerator for at least 1 hour. 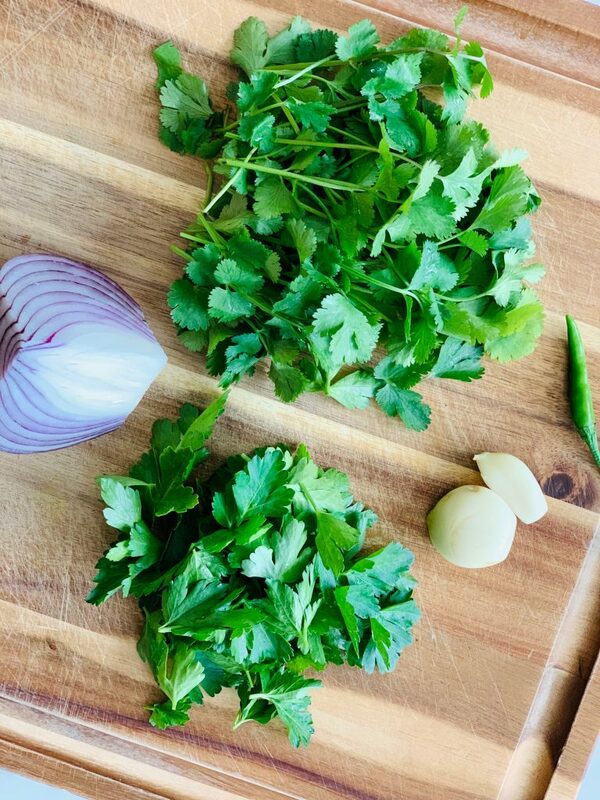 You can easily make this ahead of time and store in the refrigerator for up to a day. 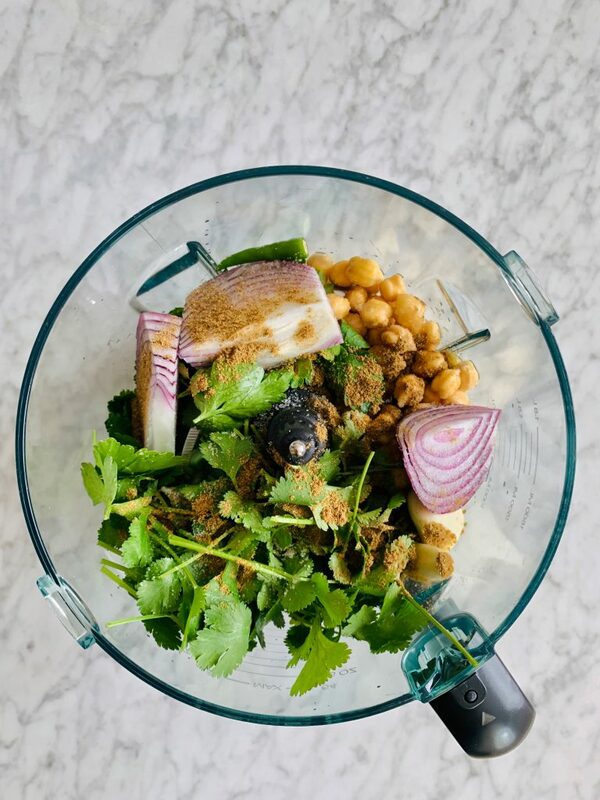 When ready to fry the falafel make flat coin shaped rounds of the chickpea mixture. Heat oil in a pan. Once the oil is hot add the falafel coins. Shallow fry the falafels until they are deep golden brown on each side. 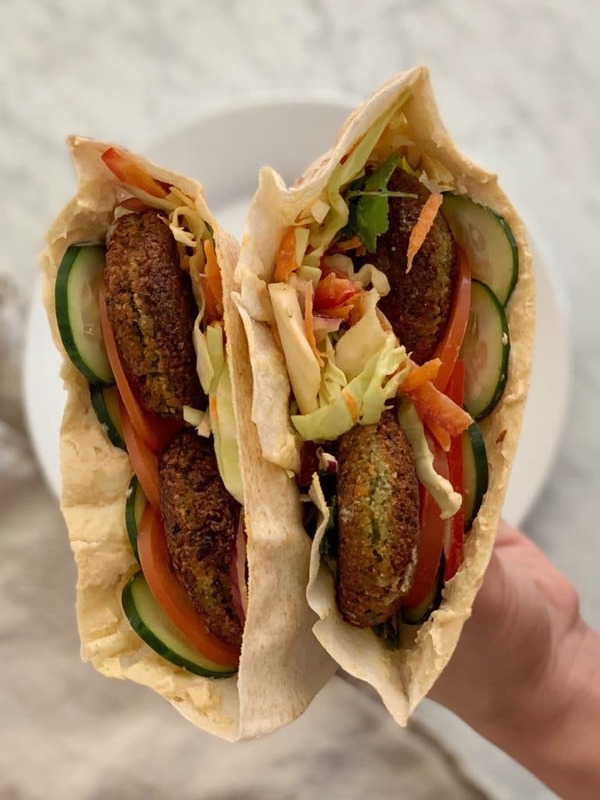 To make falafel sandwiches, stuff half a pita pocket with cabbage slaw, falafels, sliced cucumber, sliced tomatoes, hummus and tahini sauce.